The recent arrival of Uber seems to have had a polarizing effect on the good people of Ottawa. Between traditional taxis and Uber who gets your business? Slogans, web content, branding and more! Check out some of my past work and imagine the possibilities. Are traditional “big beer” brands like Molson, Coors and Budweiser threatened by the recent explosion of the craft beer market? Uber VS Taxis - Who Gets Your Business? The recent arrival of Uber – the ridesharing service that connects riders to drivers through their app – seems to have had a polarizing effect on the good people of Ottawa. Some see Uber as a great way of getting from point A to point B more quickly and conveniently than cabbing. Others are, let’s say less-enthusiastic about their arrival, questioning the safety and reliability of an unlicensed car service already taking major heat from Ottawa bylaw. So where does this leave Ottawa riders? Uber announced their official arrival in Ottawa on the weekend with a promotional program offering free rides up to $20 value. The public was intrigued. Ushering in a new system of hailing a ride, Uber allows customers to use their app to arrange a ride without leaving their comfortable surroundings. For those of us who have gone on the great adventure of trying to hail a cab in the market - or on Rideau St - of a certain hour – on a Friday or Saturday – in the dead of winter will know how this is a major point in Uber’s favour. Uber is also claiming a more cost-effective approach than Ottawa’s taxi service, comparing rates from the Rideau Centre to the airport at $22 with Uber against the much steeper $40 standard taxi ride. With rates up to 40% cheaper, they are offering some bottom-line competition by providing a more wallet-friendly option. On the flip side, Uber has been known to jack up their prices on high-demand nights like St Patrick’s Day and New Year’s Eve. Upon Uber’s first profitable transaction, the company was met with the steel fist of staunch opposition by city of Ottawa regulators. Of Uber’s three types of services – UberTaxi, UberBlack and UberX – only UberX is currently available in the city, and it’s the only one that the city claims to take issue with. Considered an unlicensed taxi service to Ottawa By-law, drivers are operating illegally and are subject to steep fines, including two $650 fines doled out in the first day of operation by undercover by-law officers (undoubtedly an exciting day on the job). While Uber is taking care of the fines on behalf of their drivers and claiming to support them 100%, the city has said they will continue to fine any drivers operating without proper taxi licensing, possibly even taking them to court. Uber’s other services, UberTAXI – fully licensed cabs operating with Uber’s app technology, and UberBLACK – professional chauffeurs with commercial licenses and specific vehicles, are not available in Ottawa. Fans of Uber (or at least people who are NOT fans of the city’s taxi services) have slammed the city, saying it’s perpetuating a monopoly and refuses to evolve. The issue of rider safety seems to be the main sticking point in the minds of both the supporters and critics of Uber. There is a plethora of material at their disposal to cite harmful interactions between both licensed taxi drivers and their fares, and Uber drivers and their customers. So should we be concerned about the lack of credentials Uber drivers need to meet to use the service? Let’s break it down. To legally drive a cab in Ottawa you need to pass a driver training program at Algonquin College, which requires an English language proficiency test as a prerequisite (as well as a valid driver’s license and over the age of 19). Drivers are also put through a criminal background check and must have an acceptable driving record. Do these requirements really weed out the unsafe drivers? Data particular to other cities that have both Uber and taxi services seem to lack any form of consensus. For Ottawa, it’s just too soon to tell. One article in the Daily Beast summed up the real problem with Uber’s claims it operates a technology business. "No one from Uber looked at Coe’s car or had more than a passing conversation with him before he was set to give what the company calls “the world’s safest, most reliable ride“ ... That means a new driver could, in theory, submit paperwork online, pass a Social Security and driver’s license check, and be cleared to download the app and hit the road without Uber ever seeing or talking to the person." Uber swept into Ottawa knowing that they were meeting a demand for a service that was not being met. There is a limited number of licensed cabs available in the city and no other option for many that want to get where they’re going safely, quickly and comfortably. The bottom line is that the cab industry in Ottawa is archaic and static, keeping with the status quo at the expense of customer satisfaction and largely ignoring available new technology. An Angry Fan asks a great question. Facing the new economy of crowd sourcing,Coventry Connections, owner of Blueline, DJs, Capital and Westway has signed on to TaxiHail, an app that offers similar benefits to Uber by allowing people to book and track cabs without going through a centralized dispatch. However, this system seems to be still unrolling, with not all cabbies up to date on the service. It would seem that some efforts are being made to bring Ottawa taxicabs into the 21st century - long wait times and poor customer service notwithstanding. But the Ubers of this world are no shrinking violets, and it truly does appear that the monopoly Ottawa taxi service has enjoyed is coming to an end. And when it comes to this whole Uber VS Taxis thing I think I agree with M.A. According to the Ottawa Citizen another app-based ridesharing service Hailo has its eyes on Ottawa as its next expansion. So it seems whether you are for or against Uber’s brazen entrance onto the Ottawa transportation/technology scene, the shake-up has only just begun. Is Craft Beer Creeping up on Big Beer Brands? Between tap takeovers, countless new beer festivals, brewpubs appearing on every downtown street and a major expansion of the craft beer section in your local liquor store, it sure seems like craft beer is taking over. Beer lovers are certainly enjoying the increase in diversity, experimentation and availability of these unique smaller-batch beers. But what does the growth of the craft industry mean for their famous competition? I’m talking about the well-established behemoths of “Big Beer” brands like MolsonCoors and Anheuser-Busch, that control more than 90% of the total beer sales in Canada. 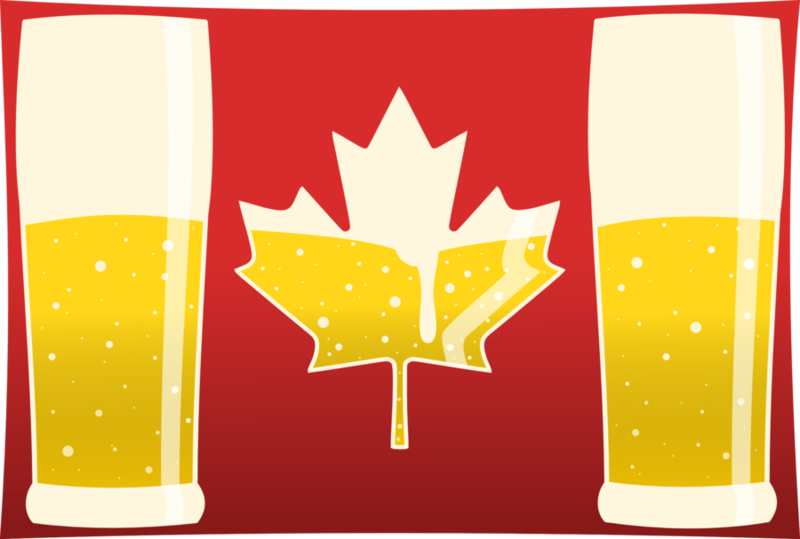 Furthermore, what does it mean for the future of the Canadian beer industry as a whole? While the recent boom in craft beer might make it seem like a new phenomenon, craft beer actually predates its “Big Beer” brethren by generations. Small-scale craft brewing dates back to the middle ages and beyond when every pub or inn brewed their own ales on site. This is a practice that naturally made its way to North America. In fact, before World War One there were over 110 independent breweries in Canada alone. But with the industrial revolution and large-scale production taking over, the number of separate breweries dwindled down to only 10 by 1980. During this time the top three brands in Canada, Molson, Labatt and Carling O’Keefe, owned 96% of the market share, leaving little room for variety. With the market monopolized by easy-drinking, highly-carbonated, low-hop brews, the desire for diversity reached critical mass. The top two beer brands – Molson Canadian and Labatt Blue were produced with mass-consumption and commercial appeal in mind. Made with large amounts of corn and rice while steering clear of the traditional, more bitter flavour of barley and hops, they were failing to deliver the variety in flavour sought by the new generation’s connoisseurs. The resurgence in the popularity of craft beer has been on a slow but steady incline over the last three decades. In Canada the first two microbreweries opened in Vancouver, BC with Horseshoe Bay Brewing arriving on the scene in 1982, followed by Granville Island Brewing in 1984. That same year Brick Brewery appeared in Waterloo, Ontario. Over the next few years the craft market gradually began to gain notice with the opening of around 40 more breweries in Ontario and British Columbia. Imported and cheap domestic beer remained the brews of choice throughout the 1990’s, yet craft growth continued, and by 2001 over 163 breweries were operating in every province of the country and the Yukon. The growth continues with British Columbia (38% increase in craft beer sales over the past year and more than 80 craft breweries. 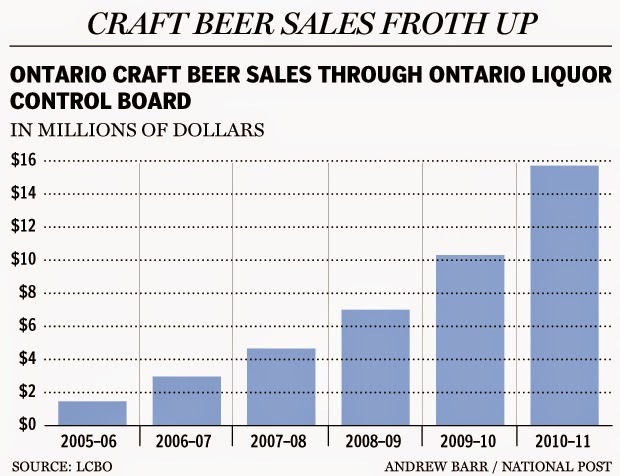 Expected to rise to 100 by the end of 2015), Ontario (over 110 craft breweries with a market that has more than tripled since 2003 and continues to grow by upwards of 10% per year) and Quebec leading the way. Let's not forget the Maritimes and Prairies, also seeing major growth in craft beer production and sales. What is a Microbrewery and What the Heck is a Brewpub? With the boom in popularity of any industry comes terms and jargon that can confuse us mere plebs. Perhaps I can be of service by clearing up two terms that have been thrown around a lot lately. The term microbrewery can be used to specify the size of the brewery or, more generally, the overall attitude and marketing strategy of the brewery. The Brewers Association of Canada defines a microbrewery as one that produces less than 250,000 hectalitres of beer annually. Microbreweries (AKA craft breweries) can also be identified by their more experimental, hand-crafted, creative approach to beer production than macrobreweries or “Big Beer” brands. They compete more on the merits of the quality of their ingredients, hands-on production, and the variety of beer they produce - rather than using the big brands’ marketing strategies based on price and high budget advertising. More simply, the term brew pub is a compound word combining brewery and pub (public house) into one. Why? Because a brewpub is a pub that brews its own beer on its own premises. Brewpubs range in size and style, from humble old-style pubs to upscale restaurants offering gourmet beer and food pairings. Many brewpubs also run shops where they offer small-scale commercial sales of their products as well as merchandise celebrating their brand. Naturally, with the booming popularity of craft beer, brewpubs are also on the rise. 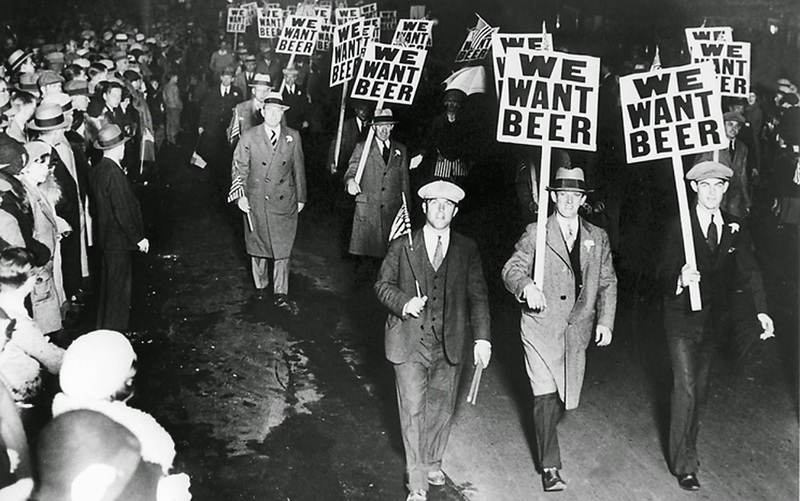 Big Beer VS Craft Beer – It’s On! The beer world has long been ruled by “macrobreweries” or the multi-national conglomerates of the industry, endearingly referred to as “Big Beer”. It’s no surprise then that taking on these corporate giants is no trifling matter. Today craft beer makes up roughly 6% of the beer industry’s total market share in Canada - an all-time high and a major feat considering the immensity of the output of big brands. And it’s expected to continue to creep up, reaching as high as 10% by the end of the decade. One strategy used by big beer brands to curtail receding market share has been to buy up successful microbreweries outright. The first two to be snatched up were Creemore Springs and Granville Island, purchased by Molson in 2005 and 2009 respectively. Quebec’s Unibroue was absorbed into the Sleeman portfolio in 2004, now owned by Japan-based Sapporo. More recent strategies include producing their own “craft-style” beers, as Moosehead has done with their Hop City line of craft beers. Molson debuted Molson Wheat in 2013 and Labatt-owned Alexander Keith launched their Brewmaster series of specialty hopped beers. Bigger beer brands often invest in successful, competing craft beer brands to keep profits up. However, despite the efforts of macrobreweries, the little guys keep popping up and the slowly eroding market share of the big brands is expected to continue. So – Craft beer is growing, big beer brands are plateauing or waning. What does this mean for the future of beer? Well. Despite the growth of the microbrewery industry, beer sales and consumption was actually slightly down this year (0.1% according to Statistics Canada). There were pockets of growth in some regions, including PEI seeing an increase of 4.6%. The culprits of this diminished growth? Wine, spirits and ciders are taking a small but significant bite out of beer consumption in Canada, despite craft beer’s double-digit growth - more bad news for the big brands. 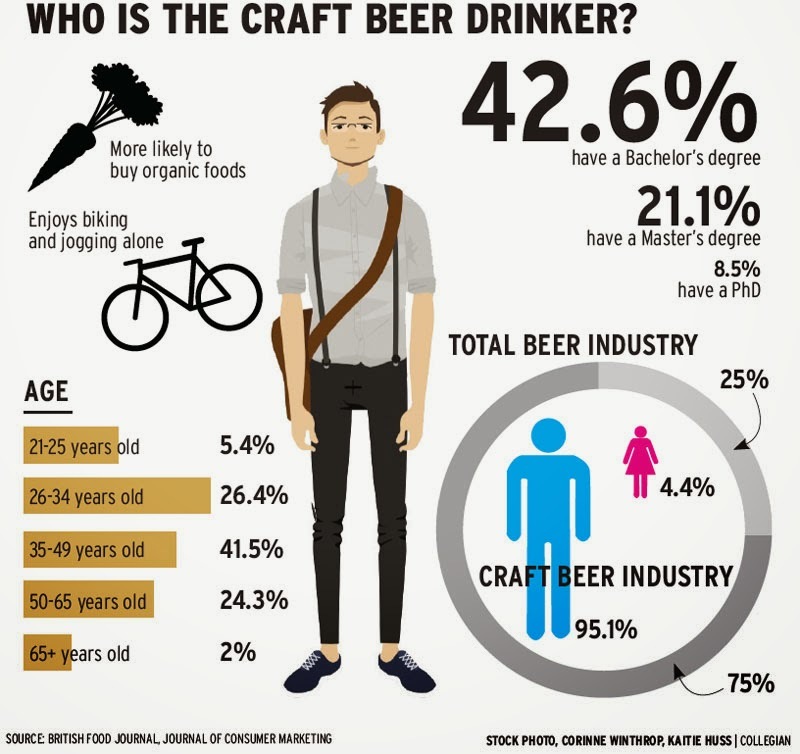 The boom in craft sales is expected to benefit the beer industry overall. Regions that experienced the largest growth in craft sales also increased in sales of domestic and imported beer. In regions with little to no craft sales there is a decreasing trend in beer consumption overall. Though big beer brands are taking measures to ensure their share of the beer market remains in the 90th percentile, they claim the recent boom in craft beer is not threatening, but rather a boon to the industry representing an overall renaissance in the beer world, benefiting each player. It seems likely that we will see a continued increase in the diversity of products available, aided by growth in trends like gluten-free and fruit-infused beer. Relaxing liquor laws will continue to aid in the sales and production of small-scale breweries, while a lack of import taxes on foreign beer will continue to keep large international brands on the shelves. The future of craft beer looks bright, as the renaissance continues and the brewmasters and creative marketing keep big beer on its toes. Craft breweries are simultaneously taking beer back to its roots, using traditional ingredients and brewing techniques, while pushing the industry into the future through innovation and experimentation. I, for one, am looking forward to the next chapter. Bottoms up! Ah, Christmas carols. 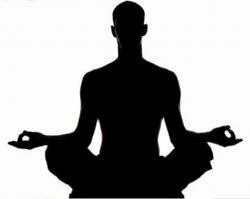 Every year the same tunes bless us with their overwhelming presence, getting lodged firmly in our brains until sometime mid-July. And though many brave souls have attempted (successfully or not) to add to them over the years with more modern entries, most of the songs you’ll hear this season hark from the days of yore. While tradition is great and everything, not everything stays entrenched in our collective psyches as well as an unbearably catchy ditty. And so it has come to pass that there are a few interesting, often mistaken, commonly misunderstood lyrics in our favourite seasonal melodies. In fact, the situation is so common that there is even a term for misunderstood lyrics. So when you hear your friend hum along about a “proud young virgin” you can call them on their…“ mondegreen”. 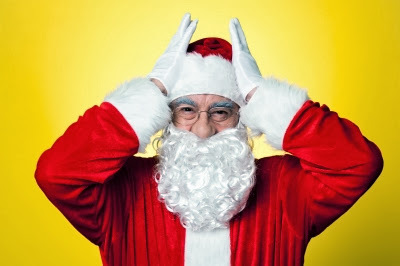 Tis the season to hear Christmas carols everywhere you go, 24hrs a day, for the weeks on end until every shopper drops, bank account drains, and belt pops. Whether you revel in belting out the omnipresent, undeniably catchy tunes from October to January, or cringe at the very jingle of a bell, these songs will be a big part of your life for the next few weeks. Best to get those lyrics nailed down then. The Confusion: Who was King Wenceslas? Why do we sing a carol about a King no one has heard of or can pronounce? Just who was this King Wenceslas anyway? Well, this traditional carol was written in its current form in 1852 by a gentleman named John Jason Neale. The popularity and endurance of the song is owed largely to its catchy melody that was lifted directly from a 13th century Easter carol (yes Easter carols were a thing) rhapsodizing about the coming of spring. So Neale decides to write about “King Wenceslas” (can be pronounced Wens-ess-loz or Wensless to make things more confusing) who is based on the historical 10th century Saint Wenceslaus I, Duke of Bohemia. In life Wenceslaus was a noble, not a king, who was known for being a charitable fellow after several legendary biographies were written after his death. 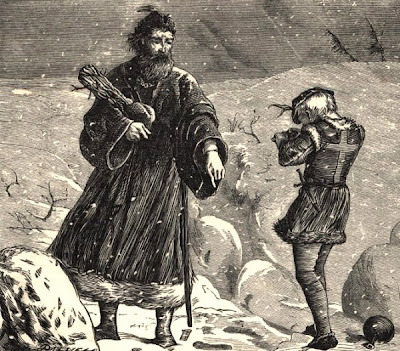 “Good King Wenceslas” was based on the legend that he would awake in the night and bring alms to the poor. He was posthumously elevated to kingly status by the Holy Roman Emperor, Otto I because why not, and declared a saint for good measure. The Confusion: How does one go Wassailing? 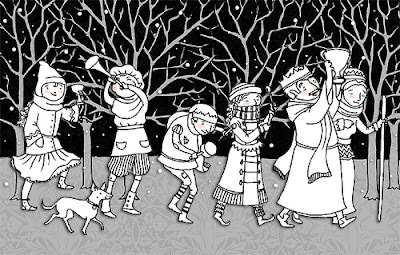 The simple answer is wassailing = caroling. To go into more detail, wassailing is an ancient tradition most likely dating back to Anglo-Saxon times when people would go door to door singing Christmas carols. The term "wassail" derives from the Saxon toast of "Wæs þu hæl" meaning “Be thou hale” or “Be in good health”. In old middle English this was said "waes hael". In the middle ages wassailing was done on Twelfth Night when peasants would visit their feudal lords and sing in exchange for charitable giving. Perhaps dropping King Wenceslas's name wouldn't hurt. Bonus! How does one get Upsot? And then we got "upsot"
Jingle Bells; what a delightful old carol full of whimsy, getting hammered and falling on your arse. If you’ve ever taken the time to sing and/or take in the full 4 verses of Jingle Bells you’ll know that it is about taking a fast-paced sleigh ride with your lady friend, getting quite drunk in the process, falling down a lot and getting laughed at by passers-by. The second verse features the above line about driving a malnourished horse into a snow bank and getting "upsot" which is an obscure, olden times past-participle of “upset” AND/OR a popular slang term for being duly inebriated. You may have assumed (rightly so) that a bobtailed bay is a type of horse. Indeed - "Bobtail" refers to the method of tying or cutting the horse’s pony tail so that it doesn't get caught in the harness. A sleigh being pulled through the snow made very little noise so bells would be attached to the harness to avoid collisions with other sleighs at blind intersections. Hence, "bells on bobtails ring". Hope that clears it up for you. "Two forty as his speed" refers to a mile in 2 minutes 40 seconds while trotting. This is considered an excellent speed, therefore suggesting the horse is of good quality. In case you were wondering. The Confusion: What's going on with the Virgin? Round young virgin? Proud young virgin? 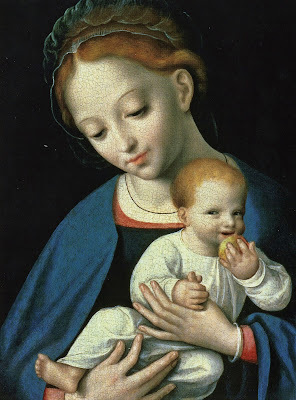 'Round yon virgin mother and child. It means, my friends, that all is calm and all is bright AROUND YON (yonder….ok, yonder: at some distance in the direction indicated) virgin, mother and child (that’s Jesus!). Yes, old English is tricky. Yum! A steaming pile of figgy pudding! Arguably the most fun part to sing in this Christmas carol staple is the verse demanding “figgy pudding” at threat of a sit-in. Not a good lesson in manners. 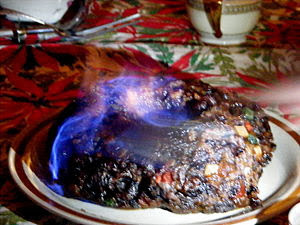 Figgy pudding was an early version of the ever-present Christmas cake or Christmas pudding that was flavoured mainly with figs. It can be baked, steamed, boiled or fried and looks just as tasty as the stuff you can break your teeth on every year. Earliest references to figgy pudding date back to 16th century England. Mmmm figgy. The Confusion: Who on earth is Parson Brown? then pretend that he is Parson Brown. The explanation for this is simple, really. The characters in the song have built a snowman, pretended it was a traveling clergyman and decided to spontaneously get hitched. Just your average snow day. When “Walking in a Winter Wonderland” was written, back in 1934, it was common for Protestant ministers to travel from town to town to perform wedding ceremonies and other religious services in rural areas where they did not have a local minister or “parson”, as they were then called. Brown was inserted as a common last name. 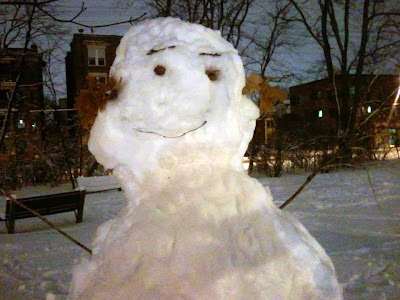 Thus, Parson Brown, the travelling clergyman made of snow – equipped to declare those crazy kids hitched. The Confusion: Why would I want Turtle Doves? Calling Birds? Or a Partridge in a Pear Tree for that matter? OK, so what gives here? Why would my true love give me all these birds I’d never heard of over a 12 day period? 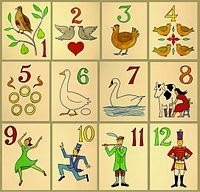 “The 12 Days of Christmas” has been suggested to be full of symbolism and meaning. I could go on for pages on the significance of all 12 gifts but I’m thinking at this point you've been awfully patient to stay with me this far into the article. Let’s keep it simple and start with the 12 days thing. For the uninitiated, Christmas was traditionally celebrated over a period of 12 days, beginning with Christmas day, Dec 25, and ending on January 7 or “Twelfth Night”, ergo, one gift per day. So why would someone give me two turtle doves? 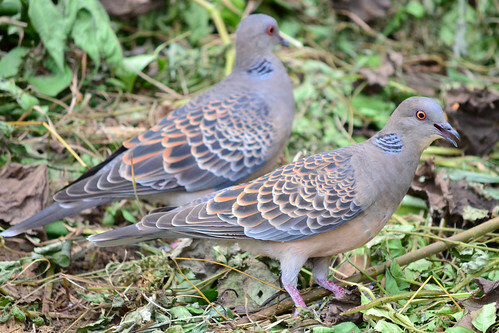 Turtle doves, a species found in most parts of the world, have evolved to embody devoted love. They form strong pair bonds and have a mournful call that is considered romantic. Crucially, they are featured in the bible, a pair of them being sacrificed for the birth of Jesus. Two turtle doves it is. That true love of mine also gives me 4 Calling Birds or is it Colly Birds? The original version of the song, written in 1780, features 4 Colly Birds as the fourth. Colly being an archaic way to say black – referring to soot or grime like coal dust. The Colly Bird the song refers to is the common blackbird. Over time “colly birds” has morphed to “calling birds” because that just makes more sense to our modern-time brains. So what is the significance of a partridge in a pear tree? No one knows. The Confusion: Auld Lang Huh? With lyrics taken from a poem written in old Scots by legendary Scottish poet Robbie Burns, it’s no wonder this New Year’s Eve favourite is one of the most gleefully misunderstood songs in the Carol books. 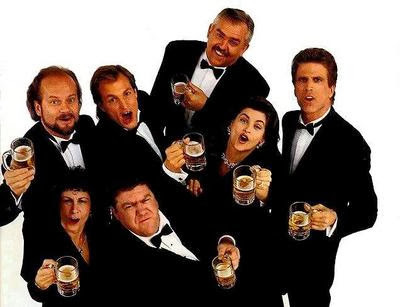 It could be argued that part of the charm of Auld Lang Syne is the fact that it’s sang with such (often inebriated) gusto. As people give themselves over to the general sentiment of the song, the words in particular are of little importance. However, for the curious let’s do a bit of translating. So what/who/where is Auld Lang Syne? The Scots words translate into English literally as “old long since” or as you would say “long, long ago” or “once upon a time”. Alright, that part of the mystery solved, what are we really singing about? Well you might have gotten the feeling, being that the song is sang rather emotionally at the turn of the new year, at funerals and other important occasions, that the song is about honouring the good old days and remembering every “auld acquaintance”. Sometimes the sentiment of a song speaks louder than it’s confusing misheard Scottish lyrics. 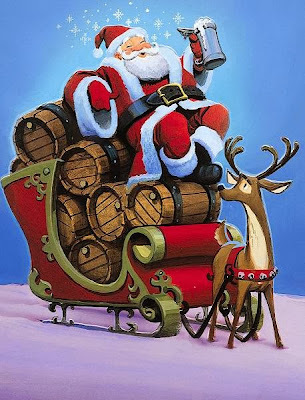 So raise your glass and impress your acquaintances, young and old, with your now-extensive knowledge of the obscure, archaic and wonderfully misunderstood Christmas Carols we sing today. Copywriters: Disappearing into Obscurity or More Relevant than Ever? For better or worse the glamorous days of the cocktail swilling, designer suit wearing, fast talking Madison Avenue copywriters are behind us. Copywriters, in the classic sense, are a dying breed. The position of the traditional copywriter is being eclipsed by a newer, more technical model with all sorts of bells and whistles. The term “Copywriter” doesn't cover the simple definition it used to. It is now used as a blanket term that covers writers inhabiting a wide range of specialties and skills. 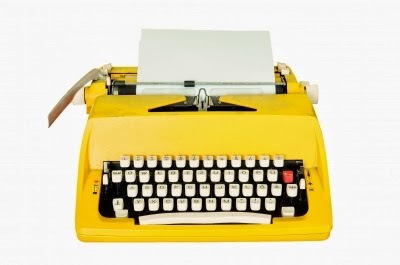 Today more traditional copywriters are an updated version of that Mad Men creature we love. They usually work for creative agencies in a collaborative environment, attending client and strategy meetings, coming out with a creative brief and working closely with art directors and other creatives. Brainstorming, scribbling furiously, writing, rewriting, “killing your darlings” and writing again - a typical day for a traditional copywriter. They are coming up with ingenious slogans, copy for print ads, radio, television, and increasingly digital and interactive media. Today’s traditional copywriters are using a lot more analytical and market research to reach their audience. Cocktails may still occasionally be on the menu, but hashing out ideas over a quick coffee is more the order of the day. Digital, mobile, social media, web, all of these shiny new(ish) elements of marketing strategy involve a hefty amount of Search Engine Optimization. SEO has become so relevant and important to the success of online marketing that possessing that skill set has skyrocketed in demand. SEO copywriters have the ability to create content so engaging that people want to share it, promote it and link to it. This has become vital in search engine ranking, driving traffic to websites, and ultimately establishing trust and reputation with potential clients. SEO copywriters are the new whiz kids and there is an element of what they do permeating every form of copywriting. You may recognize them sitting in a dark corner of a coffee shop muttering about “keyword density”, “adwords”, “indexing”, “linkbuilding”, or "social engagement". Strangely enough, this type of copywriter doesn't necessarily do that much writing. While many content strategists do produce their own copy, the main facet of a content strategist position is that of strategist. Surprise! They come up with the action plan for the copy being produced for a project. They do keyword searches, set key phrases and linking, and may then hand that over to a copywriter to do the actual writing. Often they come from a copywriting background and have a track record of expertise in crafting compelling, shareable content packed with well-researched keywords. These experts are in demand. Just like the advertising/marketing world itself, the role of copywriters is ever evolving. The value of strategic, creative, well-written copy will never be lost in obscurity. It will continue to be relevant as long as the written word is a key form of human communication. But the position of a copywriter will morph and adapt to the new media as they come. Today’s copywriters have the ability and the necessity to be more hands on with the strategy, using analytic research more than ever and applying the principles of good SEO. Fear not! Copywriters will continue to be an integral part of marketing world for many, many years to come. 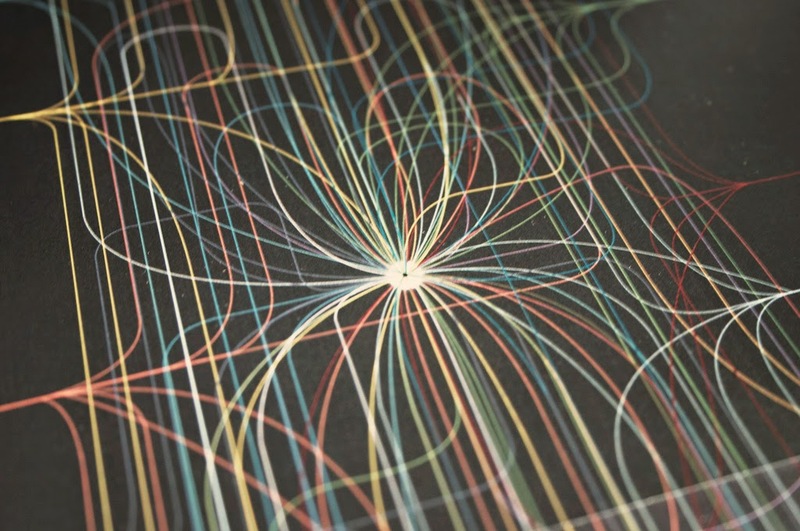 Infographics: More than just a pretty picture? When was the last time you logged onto social media and didn’t see an infographic? They. Are. Everywhere. Today they are so well established as a means of communicating data they are past the point of dismissing infographics as simply the latest design trend. Infographics are a powerful way to communicate a lot of information to the public in a way they can easily digest. Ignore infographics and you ignore the tool that brands large and small are using to engage with their audience and improve their SEO. So how do you leverage this tool for your own business? Infographics as we know them might seem like a relatively new thing. Infographic wasn’t a household name until the last four or five years in the online world. However, it might surprise you to know that the main concept of infographics as a method of visually conveying information has been in popular use for hundreds of years. An infographic can be defined as a visual presentation of information that is used to convey a multitude of complex facts clearly and concisely to the intended audience. You could correctly identify a map as an infographic. Weathermen have been pointing at infographics for decades. They are all over school textbooks, transit stations, newspapers and trade shows. The idea of turning data visual for easier consumption by the general public has been with us for ages. But infographics took on a new meaning in the last few years with the emergence of the social media infographic. Infographics are everywhere. Even resumes. The infographics I’m talking about developed with the popularization of flash-based programs allowing graphic designers to create and implement visually attractive infographics that could be placed strategically on social media sites. People like a good piece of entertaining eye-candy with a valuable message, so the things started going viral. Now one can hardly log on to Facebook, Pinterest, Google+ or Twitter without seeing them. So we know people like a pretty picture, but can they really deliver what matters for your business? They are pretty, colourful, full of captivating imagery and can communicate complex information to the general public quickly, and - if done well - memorably. But what does it take to create an effective infographic - one that has the potential to go viral and have a significant role in your digital marketing arsenal? It should be top of mind to any marketing professional worth their weight in business cards. When it comes to infographics, what is the true return on investment? In order to implement these beauties, you need to be able to evaluate the benefits of infographics as a marketing tool to your business. The common challenge we run into as marketers today in the digital marketing world we live in, is assigning measurable value to every communication tool we use. Many of the benefits to engaging an audience online are intangible and relate more to “relationship building” or building “brand credibility”. It’s difficult to connect those directly to revenue. In this climate so much more is expected of a brand’s communication. 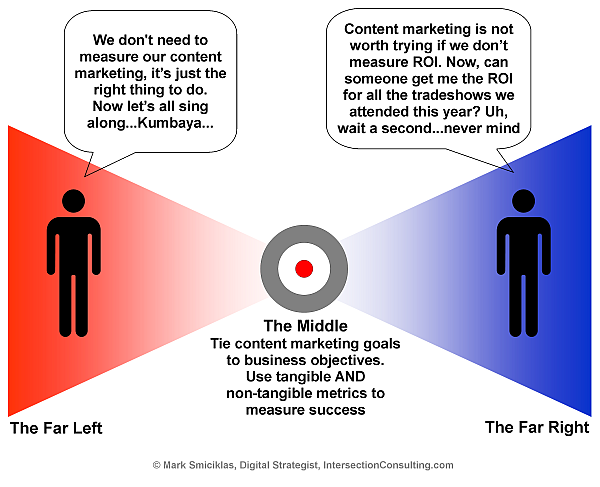 Quality content and meaningful engagement are the status quo, but difficult to assign a dollar value. However the value of a communication initiative that connects your brand to your audience is difficult to downplay. A projected 60% of Business to Consumer marketers are increasing spending on content. 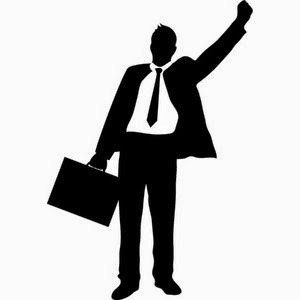 Business to Business marketers are pegged at an increase of 54%. Obviously there is perceived value there. Why else have we been going to trade shows, galas, festivals and conferences for generations? It can often be difficult to equate an exact ROI on those as well. That being said, there are many ways one can measure the success of an infographic sent out into the online ether. One could start by setting clear analytical objectives and milestones for as many elements as possible. What elements might those be? Even in the hippy dippy emotional world of social media and digital marketing there will always be hard-fast ways to measure their success - this is still business after all. You can’t spell infographic without "info"! One of the key objectives for any endeavor that includes the implementation of an infographic will be to convey information to your audience. We have ways to measure the success of awareness building through gaining attention from Google, improving your page rank, and simply tallying how many people are looking at your work of info-tainment. So people are coming in contact with your infographic. But do they really like what they see? Find out by taking stock of how many are taking the time to absorb the info, think about it and provide feedback, share it with a friend or click the like button. Of course, some of the benefits to providing an entertaining bundle of colourful information to your online audience might not be easily summed up in digits. Emotional currency’s stock is rising. If you take the time to dig around you will find in the comments, the likes, the shares, a sense that people are getting involved with your brand, that a conversation is taking place. The beauty of social media is that it can be a two-way exchange between brand and audience. If this is done in a positive, impactful way it leads to brand loyalty - the holy grail of communication objectives. When you provide information, facts, opinions, feedback, a two-way conversation between employees of your company and the potential customers you wish to reach, you are creating credibility – trust in your brand. People like to place their money where they can place their trust. When you give your audience valuable content like an infographic, it allows them to spend time with your brand, get a better feel for what your brand is about and what its values are. When done well, providing value to your audience at no cost to them can give them the warm fuzzies. Positive associations with your brand are a natural outcome and when people have as many options as they do today – positive brand experiences can make a big impact in sales. Companies are pumping out infographics like confetti but not every infographic is created equal. So what does it take to get an infographic that will connect with your audience – maybe even go viral? Depending on your resources you may opt for creating an infographic in-house or contract an agency. With a plethora of online applications available to build your own infographic, the option is certainly available to DIY. However, design agencies are having no trouble drumming up clients to pay anywhere from $500 to $10,000 depending on the scope of research and design involved in production. So what’s involved and is it worth paying the experts? Let’s talk about the criteria that make an infographic valuable. An effective infographic conveys information to the target audience in a way that is not only entertaining and clear, but most of all memorable. The point of producing an infographic as a communication tool is to create a buzz that will help a company increase awareness on social media and engage with their audience. In order for that to occur it’s important to ensure that what viewers retain from the infographic is the intended message and not solely the visual impact. When an infographic hits the mark it will drive traffic directly to the source of the information – ie the company website, great for social media analytics and linking. 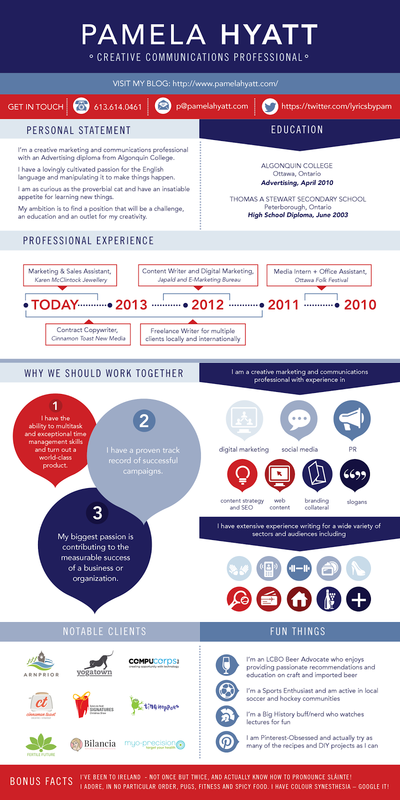 So what are the ingredients of a great infographic? The method you choose to represent your info is key. Bar graphs? I could make one in Excel in 5 minutes - doesn't get the public’s blood pumping. Designers are coming up with creative, unique new ways to represent that data in an eye-popping way. How about a pie chart that looks like a speedometer? Whether using charts, photos, or vector illustrations it must be cohesive, dynamic, attractive and original. Getting an idea why people are forking out the $$ now? Obviously it is vital to an infographic to be visually dazzling and the use of colour and typography will have a large impact on the overall design. However important this is, it is far from everything. Focus on the story, the layout, and the facts first. This stuff is the icing. Important, delicious icing, but icing nonetheless. This is the trickiest and most important part of presenting an impactful infographic. The info should be presented as a storyline. It must be engaging and include all the vital data. On top of that it has to be intuitive, dense-while not over cluttered, and original. It will help to map out the information in a wireframe before handing it over to designers. Your infographic is nothing without accurate, relevant data. Fact check. Double fact check. Do everything you can to present the complete truth. Misleading or inaccurate information will be outed at the first opportunity. Providing false data to your audience will do the opposite of building brand credibility. Infographics are a valuable, ubiquitous part of online communication and engagement between brands and their audiences. 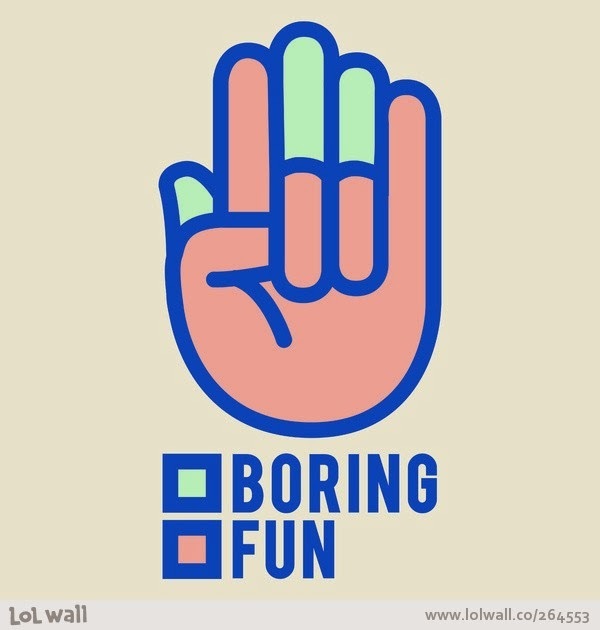 If your brand has information to share with the public why not do it in a fun, memorable, easily digestible way. A way that is mobile, shareable, and easily identifiable. Everyone else is doing it.